The Priory of St. John the Baptist fulfills its charitable mission by supporting several organizations and initiatives in the Holy Land and closer to home. The Orthodox School of Bethany is a school for girls with 30 teachers and 350 students -- both Christian and Muslim -- from kindergarten through 10th grade. Several Priory members have visited the school on recent pilgrimages to the Holy Land. Operated by the Bethany Community of the Resurrection of Christ for more than 75 years, the school is in an area where shootings and vandalism are common. The Ethiopian Orthodox Church is one of the oldest Christian churches. 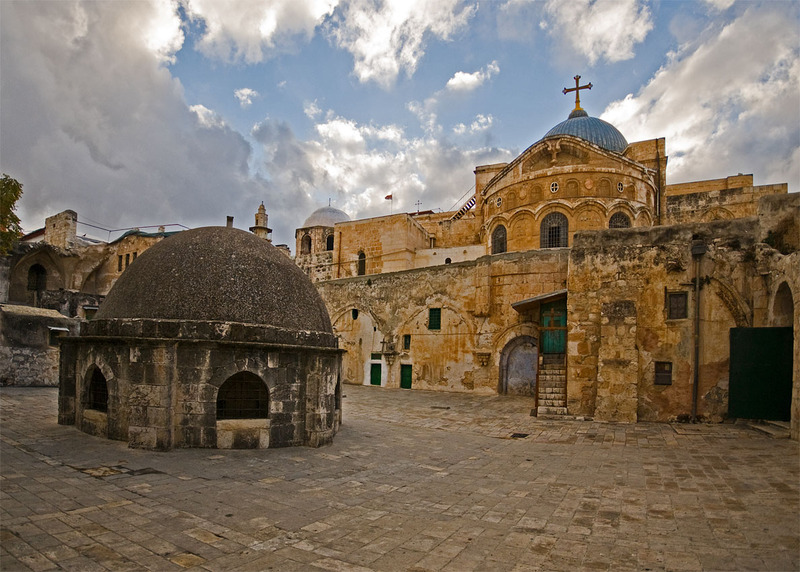 Their Patriarch in Jerusalem oversees monks whose dwellings are on the roof of the Church of the Holy Sepulchre, and congregations of the "poorest of the poor," many of whom live in dirt huts located behind the church. Closer to home, Priory members give "sweat equity" to support The Gathering, a meal program of the Episcopal Diocese of Milwaukee held at St. James Episcopal Church, and the meal program and winter clothing drive of the Christian Faith Fellowship Church on S. Layton Avenue in Milwaukee. The Bethlehem University Institute of Hotel Management offers a path to numerous employment opportunities for its Palestinian students. Training programs support servers, cooks, hospitality, and management. Members of the Priory have visited Bethlehem University on pilgrimages to the Holy Land, and the Priory now sponsors a student enrolled in the culinary arts program. Previously, we sponsored a nursing student, who has now graduated. Finally, through the Jerusalem Mite program of SMOTJ, the Priory of St. John the Baptist joins Templars worldwide in supporting Christians at risk in the Holy Land and helping keep the road to Jerusalem open to all people.